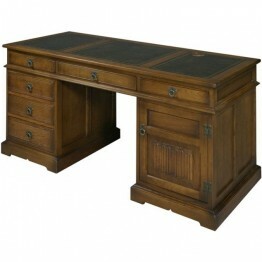 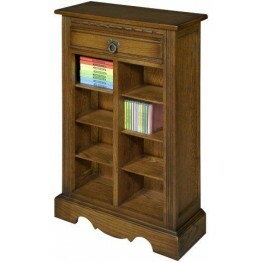 Below are all the model ranges of the Wood Bros Home Office Collection. 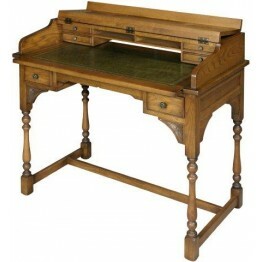 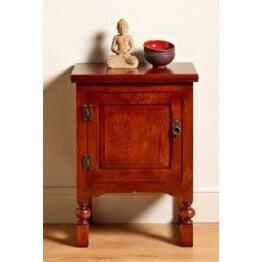 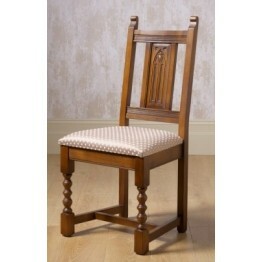 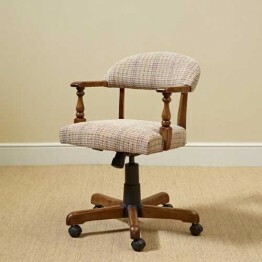 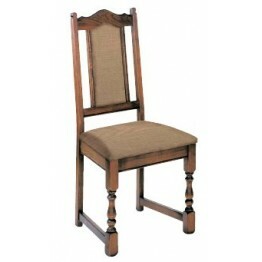 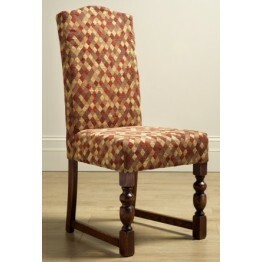 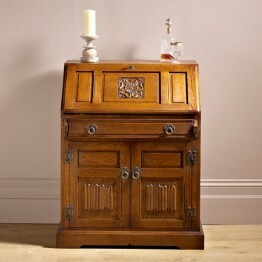 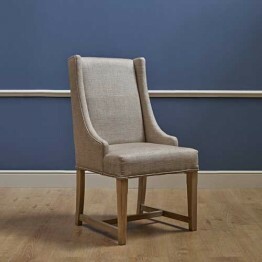 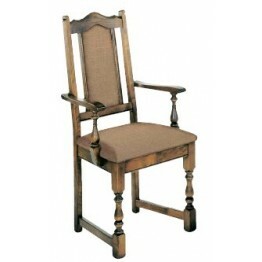 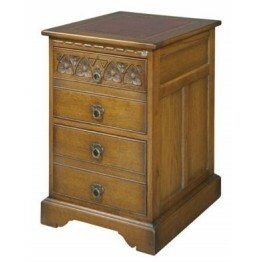 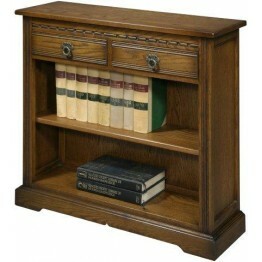 Since its launch this range has been very popular with Old Charm furniture collectors old and new. 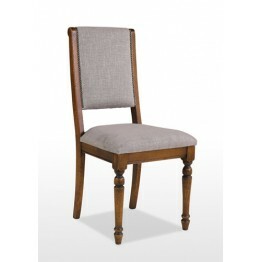 As you can see the models are available in four different wood shades and where appropriate in different leather skivers. There are desks, filing cabinets, desk chairs and bookcases. 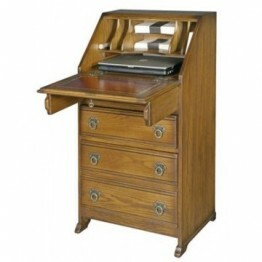 Features an anti tilt mechanism, two filing drawers and an offset security lock. 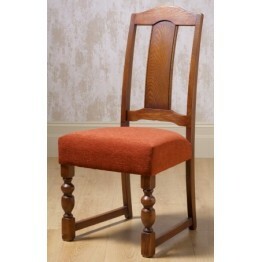 The height of the c.. 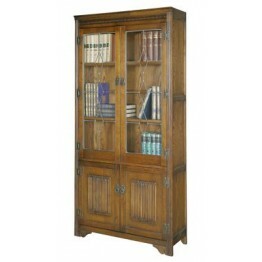 This bookcase features leaded light glass doors, hand-carved cactus flower motifs and antiqued metal.. 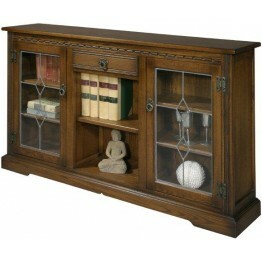 This piece has leaded light doors with cupboard space under. 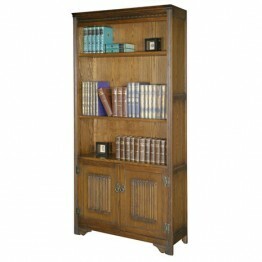 All the bookcases in this collection ha..
An open bookcase occupies the top two thirds with a double cupboard under. 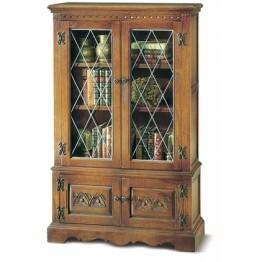 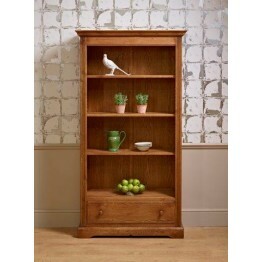 Wiring management is incl..
2792 Wood Bros Old Charm Low Open Bookcase with Drawers.Dimensions:91cm wide30cm deep 84cm highThere..
2793 Wood Bros Old Charm Low Bookcase with leaded glass doorsDimensions:140cm Wide 30cm Deep 84cm Hi..
2794 Narrow Bookcase with Drawer.Dimensions:61cm Wide30cm Deep153cm HighThere are 5 different wood s.. 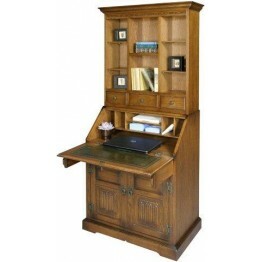 The desk can be ordered in a green, pewter or a red leather top with the gold edge tooling, and of c..
2799 Wood Bros Old Charm DVD/CD Storage Unit Holds 80 dvds or 160 cdsDimensions:Width 56cmDepth 24c..
2805 Old Charm Writing Desk or Escritoire which is made in all the Old Charm Oak wood shades and the..
2806 Wood Bros Old Charm Bureau Display Top This top unit has been specially made to sit on top of t.. 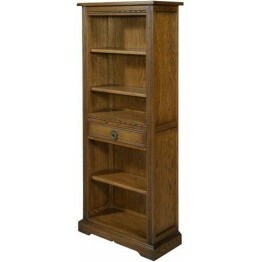 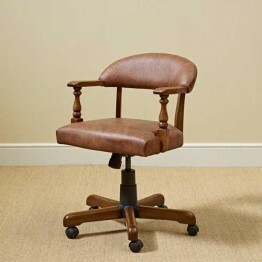 This bookcase has a drawer at the bottom with adjustable shelves above.Dimensions:188cm High 35cm De..
An office swivel chair in fabric made by Wood Bros Furniture and part of the Old Charm collection.Th..
An Old Charm Captains office swivel chair in leather made by Wod Bros Furniture.This seat height can..